Instagram may be spoken about in the same breath with Facebook, Twitter and Pinterest; but it may come as a surprise to you that Instagram is nothing like any of the other social media platforms. 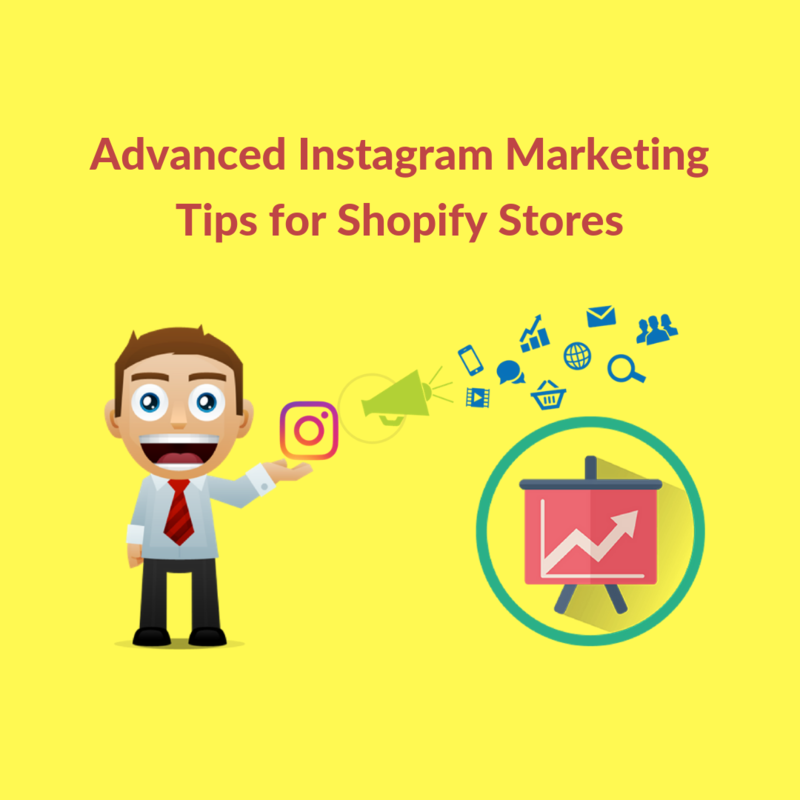 This article about Shopify Instagram marketing tips will cover all aspects of social media marketing using Instagram. Did you know that out of the 1 billion Instagram monthly users, images on Instagram get an average of 23% more engagement than Facebook. On average, brands on Instagram see ten times more engagement on Instagram than on Facebook. So, if you an eCommerce business owner and you are planning on using Instagram to promote your business, this is the moment for you. This article about Shopify Instagram marketing tips will delve into the world of Instagram and investigate ways to boost eCommerce sales with this great social media channel – including how to grow Instagram followers, Instagram marketing strategy, Instagram marketing tips, Shopify Instagram influencer marketing, how to find Instagram influencers, Shopify Instagram marketing and much more. In other words, this will be your one-stop guide for Instagram marketing for small business. Let’s start with why Instagram Social media marketing is so important for your Shopify business. First and foremost, Instagram marketing involves the use of high-quality images of your products, which look much better and are more engaging than generic photos. Secondly, it gives your customers an easy and convenient way to indulge in online shopping from anywhere and anytime. Since marketing via Instagram has a better reach, it attracts a larger audience expanding your overall reach. 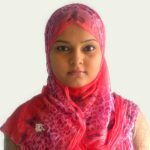 Thus, it helps with better brand positioning and enhanced engagement. Apart from being more engaged, Instagram users are highly quick to convert to paying customers. A recent study showed that almost 72% of Instagram users make a purchase decision after seeing something on Instagram – the most popular categories being makeup, clothing, shoes, and jewelry. 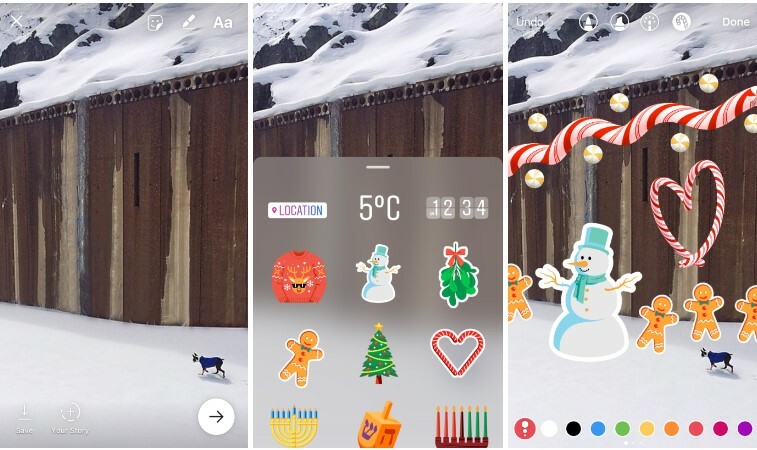 Another important reason why Instagram is a favorite for brands, is the uniqueness and variety of business-facing tools like Instagram Stories and shoppable Instagram posts. These tools can create excellent marketing practices for businesses, if used effectively. How to do the best Instagram marketing for your Shopify store? Instagram offers a wide range of demographic information and key performance indicators for each post. 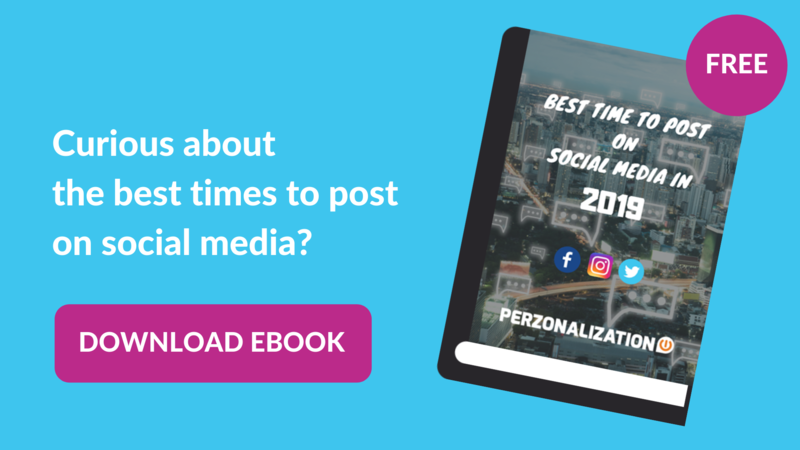 These provide you with information, like which type of posts has the potential to perform better and which posts will engage your audience more. Identifying and evaluating your Instagram page’s demographic information is the ideal way to reach your target audience. Once you know your audience, it will be easier to tailor your content, accordingly. Look at Maybelline for instance. 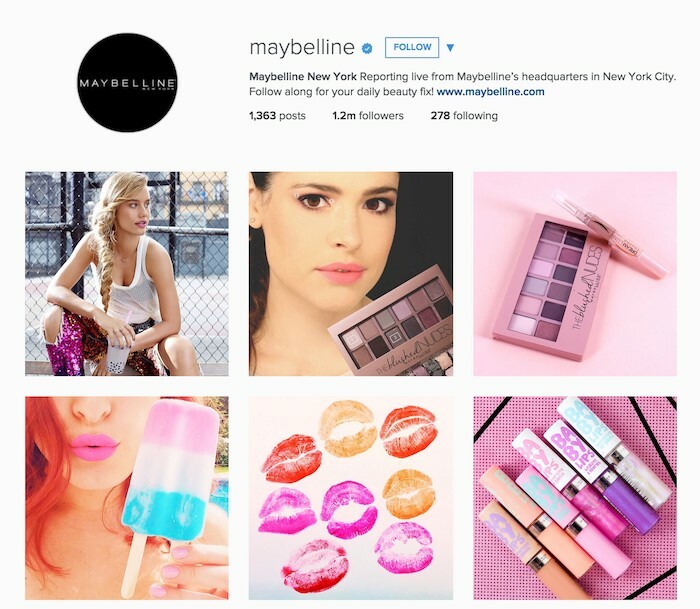 With clear and crisp imagery, the cosmetics and makeup giant stays true to its overall brand, which is Maybelline. Clickable Profile Links: Instagram gives you the option to add clickable links to other user profiles in your own bio. This becomes useful when you have more than one company, or if you are partnering with another merchant to run a contest. This way, you can use these links to direct traffic to other profiles. You can also use this feature to redirect people to your personal profile if that is aligned with your branding. Story Highlights: Story highlights are displayed above your feed on your profile and they make your profile look meaty. You can highlight user generated content or other posts that tell your brand’s story. Clickable hashtags: Clickable hashtags can now be added to your profile description just by entering # and then the desired phrase, similar to how you would do on a post. Focusing on the branded hashtags is a good practice for Instagram business profiles. Profile Photo: This should ideally be your brand logo. Whatever it is, it needs to be appealing, legible and aligned to your brand.. Highlight your website: Put the link to your website on your Bio or link your latest blog here. This will prompt your users to check what’s new on your website, and will give you some organic traffic. Fashion Nova combines all these features into a well-optimized profile. An Instagram post with at least one hashtag averages 12.6% more engagement than one without a hashtag. Hashtags are powerful. They do everything from attracting followers in your niche to developing a relatable brand image and increasing engagement. There are six key Shopify Instagram hashtags that can be used by eCommerce owners. Generic Hashtags: These are hashtags that are popular among a vast majority of Instagram users, and if used effectively, they can get you a good chunk of Instagram followers. These are #love, #food, #fitness, #weightloss, #puppylove, #photooftheday, #travel, #repost, #tbt. Contest Hashtags: This is a type of branded hashtag that you create for a specific contest you want to run. When filtered by these hashtags, Instagram shows all posts that use these hashtags, and in this way, you attract people who are interested in your contest. Some contest hashtags are #instacontest, #giveaway, #contestalert, #sweepstakes, #contestentry etc. Branded Hashtags: Brands should have their unique branded hashtags. These Instagram marketing hashtags are attached to every post and placed in their profiles. They can also be used to encourage followers to attach to any of their posts when they are referring to your brand. It can include your brand name, but that’s optional. Examples include Fashion Nova’s #NovaBabe hashtag or Frooti’s #thefrootilife. Niche Specific Hashtags: Every brand will belong to one particular industry, and there will always be some Instagram marketing hashtags that will be relevant to that industry. On their own, they may not give you the same reach, but when combined with branded hashtags or contest hashtags, they are sure to get you some relevant traffic. For instance, for an online tea store, niche hashtags could be #teatime, #siptea, #lovetea, #earlymorningcuppa. Seasonal Hashtags: These usually pertain to seasonal holidays or special occasions like Valentines Day, Mother’s Day and Father’s Day. So, if you are an online gift store, there are lots of things you can do with these seasonal Instagram marketing hashtags, e.g. #myvalentine, #daughtersarespecial, #mothersday, #christmas. Fun Hashtags: These, similar to the niche Instagram marketing hashtags, will need to be teamed up with some other hashtags to be effective. The objective of these hashtags is to entertain your audience. They are purely funny or witty. Some examples could be #hilarious, #funny, #instafunny, #lmao etc. In order to optimize your reach and get the most out of your Instagram marketing, you need to use the right types of hashtags. Instagram Influencers are those individuals who understand their core audiences and are successful in building their personal brands ground up. Brands often partner with these people in innovative ways to draw audiences and give their brands the much required credibility they need. 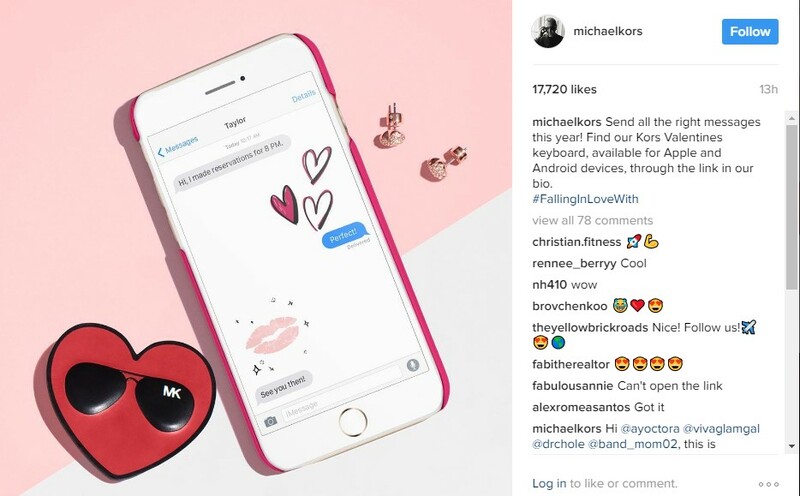 Instagram influencer marketing is now the hot topic for marketers and eCommerce brands worldwide. It’s just word-of-mouth advertising by people who have huge follower bases, and whose recommendations are valued. It’s like a friend recommending a particular store for the best fashion accessories in town. You appreciate their recommendation because you trust their judgement. Brands use Instagram influencer marketing to partner with their niche online influencers, to tap and engage their audience and to increase brand awareness in an authentic and organic way. Follow the below-mentioned steps to kick off your Instagram influencer marketing. Identify your marketing goals: Do you want to increase brand awareness? Or do you simply want to gain more followers and want more engagement? Or is it more click-throughs you are expecting from the influencer marketing? This will determine your reach, what kind of influencers you want to collaborate with and your Instagram marketing cost. Identify the right influencers: There are three types of Instagram influencers – Celebrity influencers, Macro influencers and Micro influencers. Small businesses should focus on micro influencers and perhaps one or two macro influencers. Macro influencers are those who have more than 100,000 followers, and can mostly be afforded by big brands. The key is to identify and find influencers who are prominent in the specific niche that you operate in. Their audience ideally should be similar to yours, and hence, it helps you get in front of the right people. Optimize your influencre campaigns: There can be sponsored posts, contests, branded content, product reviews and brand rep programs that your influencer might get done for you, depending on the terms of your agreement and your budget. Maintain transparency at all times: Laws regarding full disclosure around brand-influencer partnerships, material connection and similar stuff is pretty stringent. So, stay on the right side of the law while dealing with influencers. If their word of mouth can make your brand, they can also do quite the opposite. Make sure that all terms of your association are clear between you and your influencer at the onset to avoid any surprises later. 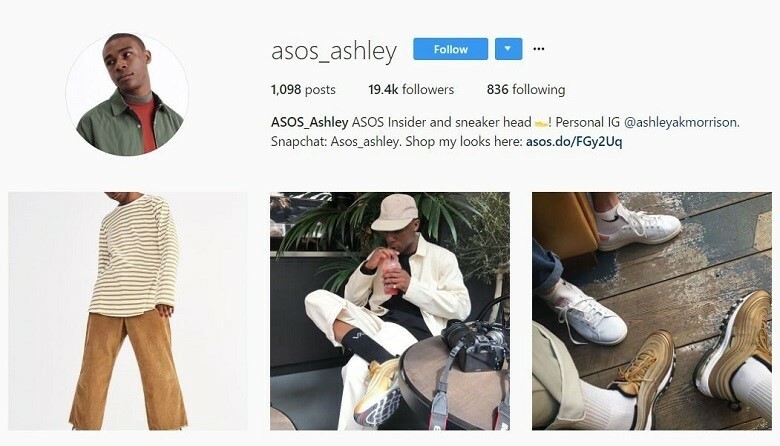 To show how Instagram influencer marketing works, look at how ASOS is able to widen its reach by encouraging its influencer, Ashley Morrison to build natural and organic audience based around the brand. Instagram offers five advertising formats – namely, photos, videos, carousels, story ads and slideshow ads. Each of these is integrated seamlessly into the user’s interface. These are of tremendous importance to eCommerce owners, as they allow the business to link their page in the post. The “Shop Now” button appears at the bottom of the ad redirecting users to a specific product or home page. These advertisements also make targeted campaigns easier. While creating a new ad, Instagram allows businesses to tailor the audience based on demographics. Instagram’s “shoppable posts” feature the most innovative social selling method for ecommerce websites. When a user clicks on a shoppable post, they are able to see the name and price of a product. When they click on the tag, he/she will be sent to a more detailed page featuring specific product details, similar items and other shoppable posts from the brand. Businesses can now create a Shopify Instagram store on their websites. Effective Instagram marketing comes from experience and from following best practices that have made brands famous in the past. 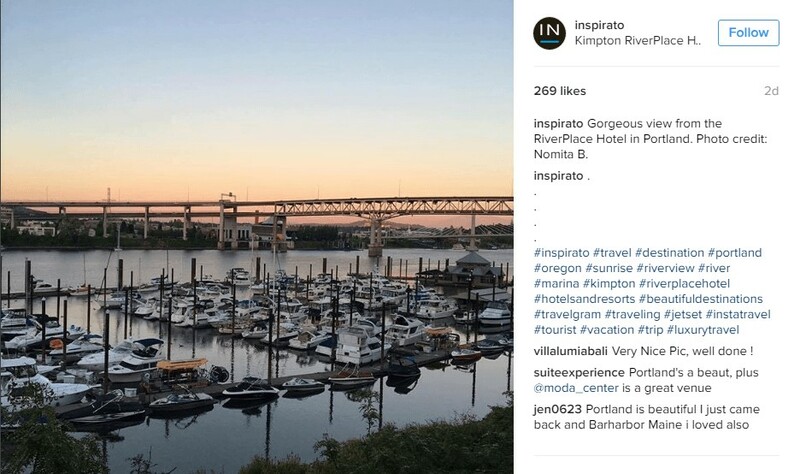 The following Instagram marketing best practices have been tested for success and are followed by eCommerce businesses globally to promote Instagram pages. Commenting on and re-posting your followers’ content are the best things you can do to grow followers and acquire more followers. Tag products to make them more shoppable. Use clear CTAs while tagging the items. Do some research and curate hashtags. Connect the Instagram business page to your Facebook page. Use the recently introduced tools like texts, stickers and drawing features on your standard posts to make them more attractive. 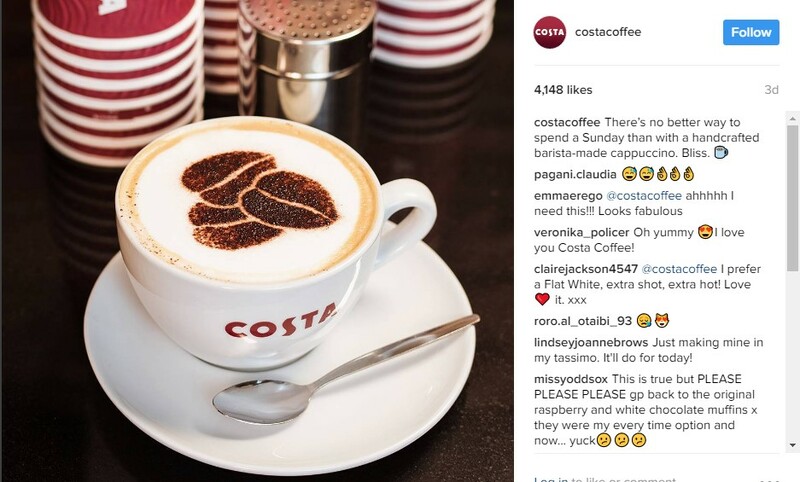 Put good Instagram marketing captions to supplement your images – what Costa Coffee does below is a good example to that..
Instagram “Stories” feature is a great way for eCommerce businesses to be spontaneous and creative at the same time. Publish posts which demonstrate another side of you – something which will make your audience proud to be able to relate to you. 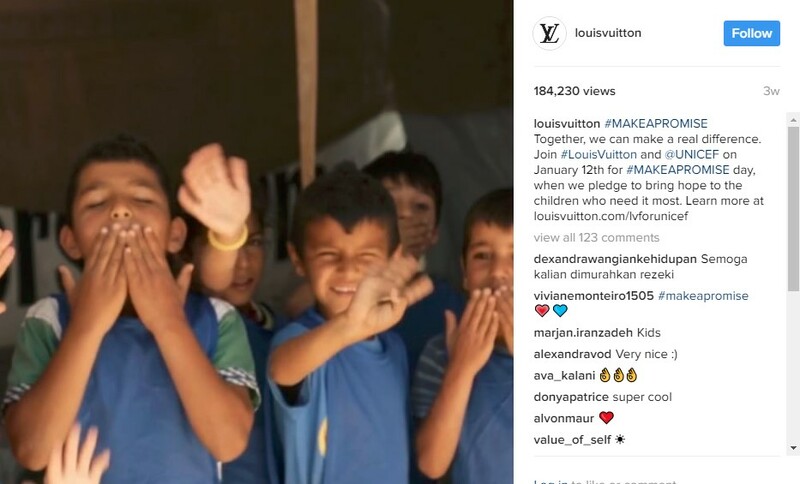 Check this post by Louis Vuitton. Make sure you apply all of these Shopify Instagram marketing tips as a part of your Instagram marketing strategy 2019. With new trends and technology on the rise, it is also important that you quickly respond to change and adapt to a dynamic environment. Sustainable success in Instagram marketing is achieved by businesses that are able to establish sound Instagram marketing goals and stay on top of trends to achieve their long-term objectives.